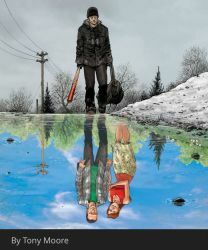 Do have or have I ever fine anything which I have regretted? Yes, loads of things, some of them I regret more than others, one or two I don't even think about, if I did, I know that it would drive me up the wall and I would probably start to obsess about it. One of those things I choose not to spend much or any time thinking about is my tattoos. If I were to count them individually, I would have over 113 of them, on my arms, legs, back, stomach and my hands. If I am honest I would say that there quarters of them are, as my wife would say.. "shite", but, as I say, if I was to spend any time thinking about how "shite" my tattoos are, especially the ones on my back I would end up with a serious mental problem. 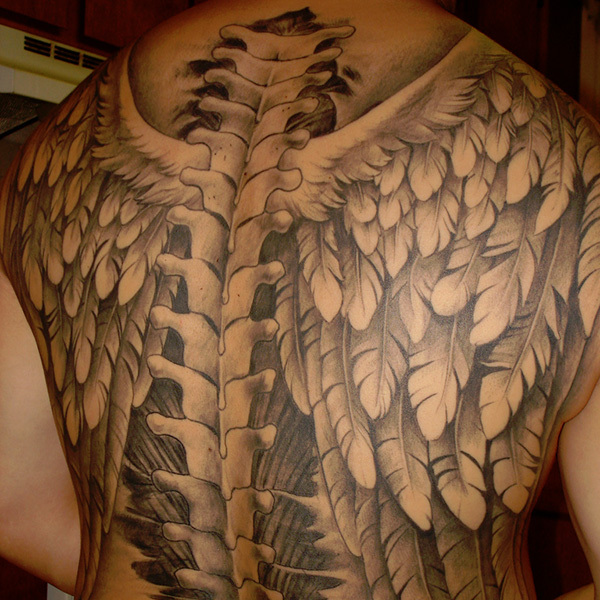 However something I have said for a while is, if I ever had a chance to get any of my tattoos covered up it would be the ones on my back, I love the idea of having a big pair of wings on my back, big enough to cover all of my back and if these wings could be bat wings, even better. This week has been a rather hot and dry week so my wife and I took advantage of the weather and got out into the garden to get it tidied up. 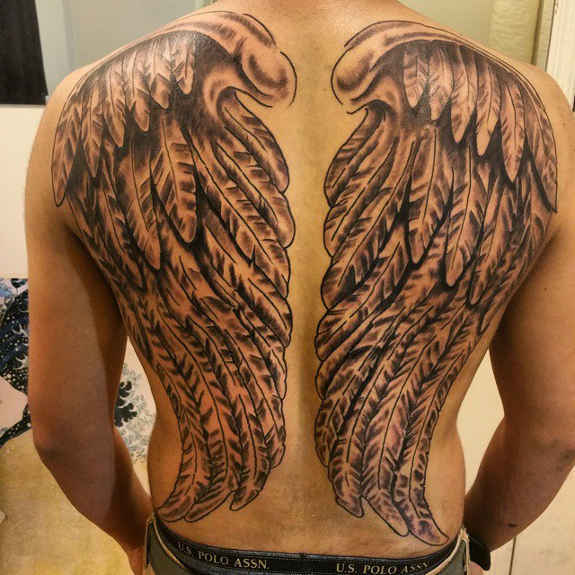 Today I got so hot that until I my tee shirt off (something I rarely do) and this time my wife said something that I am sure she has bever said before, when she told me that the tattoos I have on my back are shite. She went on to ask why i don't go to our local tattoo parlour and ask how much it would be to get a full tattoo on my back to cover up the mess I have there at the moment. Needless to say I am going to jump at the chance and we, my wife and I are heading to be tattooist tomorrow to ask about pricing. 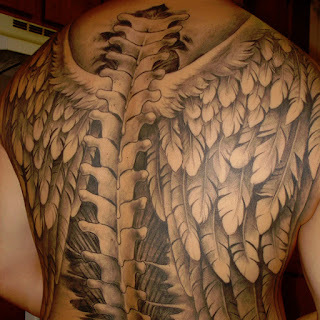 Problem is, my wife doesn't like the idea if bat wings, we will be looking at some back pieces tonight. Of course I will let you guys know what happens, if anything.